Mar 31st. 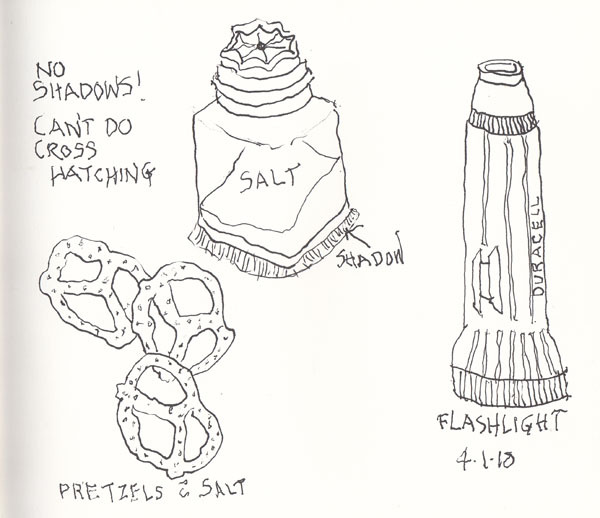 I am drawing objects in my apartment each morning after Breakfast, and it is just what I did when I restarted drawing as I was retiring and decided that my retirement project was going to be Sketchbook Art. These are all drawn directly in ink - and the only way I can make myself draw them in my "Non-Dominant Hand" book is to do a warm up drawing first on scrap paper. If the ninjas don't immediately attack me for failure, I open my book and "just do it." 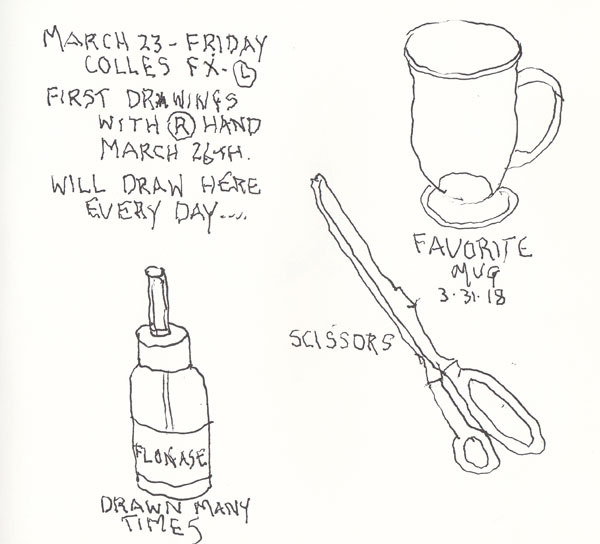 Apr 1 Small even lines are too hard. I am proclaiming that I won't be adding hatching for shadows. 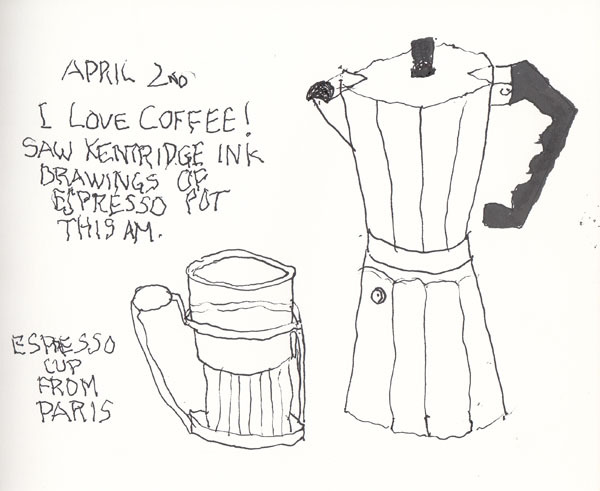 Apr 2 Fairfield Museum in CT has a William Kentridge exhibit and I saw his online collection of drawings of his espresso pot. So glad I got mine down to draw it. Block printing is hard with my right hand, so I'm practicing that on each page too. Shirley you are developing your own style of drawing using artistic license to draw as yu wish I like it. It is imperfect and interesting. I think you are doing really well sketching with your non-dominant hand. Love the coffee pot and expresso cup. These are better than anything I could do with my dominant hand!